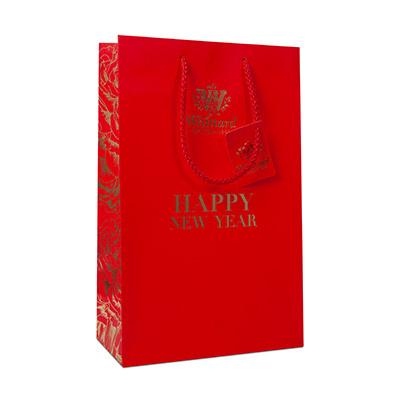 The perfect finishing touch for your Chinese New Year gift, our joyous red gift bags feature a gold foil peony design and “Happy New Year” messaging. They’re durable and portable with elegant rope handles and a sturdy base. There’s even a little tag where you can write a message.